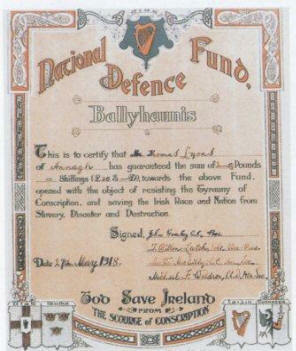 The National Defence Fund was an anti conscription pledge and fund drawn up after the British decision to extend conscription to Ireland in 1918. 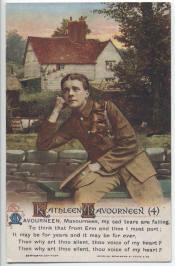 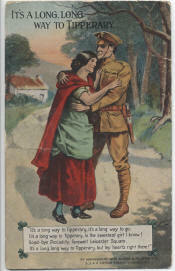 World War I, 1914 - 1918: English Recruiting Poster. 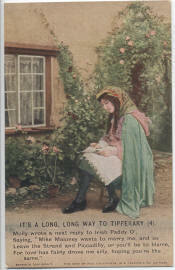 "Be Honest with Yourself. 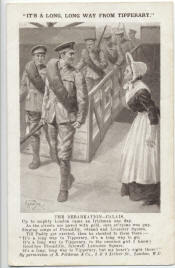 Be Certain that Your So Called Reason is Not a Selfish Excuse," Lord Kitchener. 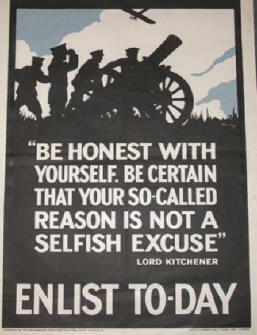 ENLIST TO-DAY. 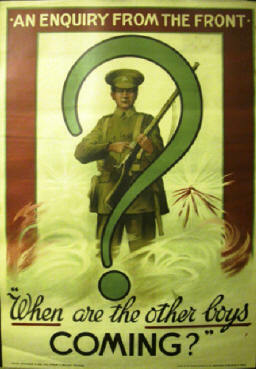 A large poster approx. 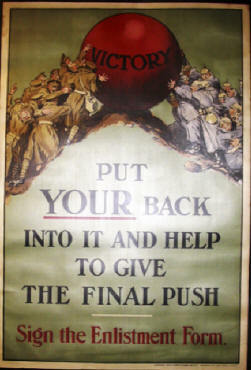 76cms x 51cms, published by The Parliamentary Recruiting Committee, London. 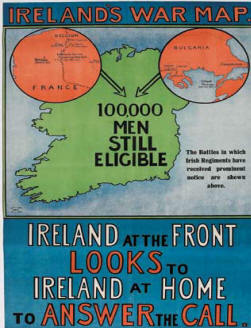 1914-18 World War I Irish Recruiting Poster IRELAND'S WAR MAP - 100,000 MEN STILL ELIGIBLE etc" Published by Department of Recruiting for Ireland Lithographed by Alex. 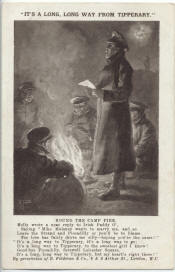 Thom. 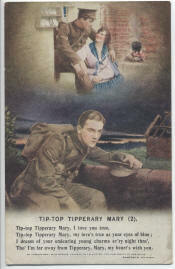 & Co. Dublin 76 by 51cm., 30 by 20in. 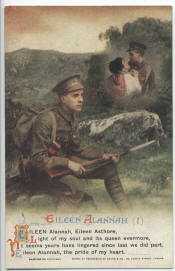 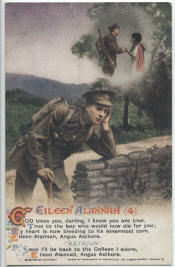 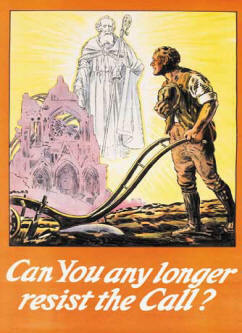 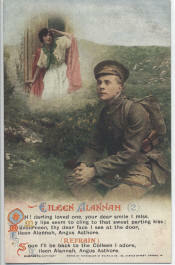 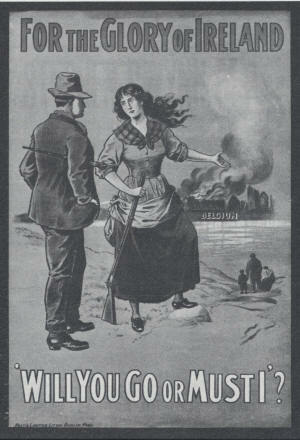 1914-18 World War I Irish Recruiting Poster "Can You any Longer resist the Call?" 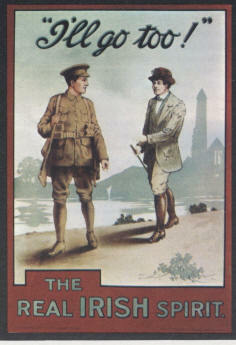 Issued by Department of Recruiting for Ireland Printed by McCann Stevenson & Orr, Dublin & Belfast 76 by 51cm., 30 by 20in. 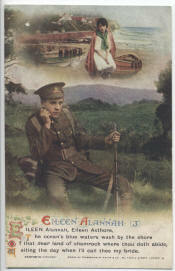 Depicts a stereotypical Irish farmer with a plough, doffing his cap at a vision of St. Patrick and a ruined Belgian cathedral. 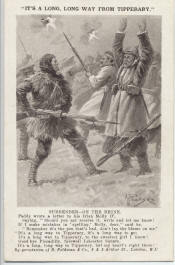 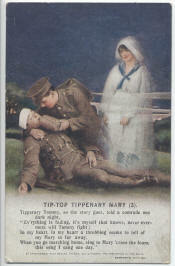 The campaign often focused on the plight of the Roman Catholic Belgians being ill treated by the Germans in the hopes of recruiting Irish Catholics to the Army. 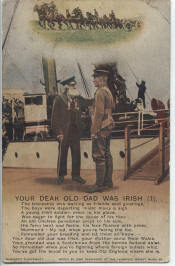 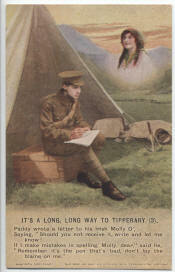 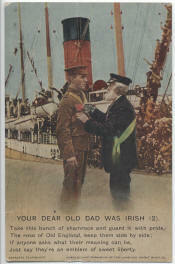 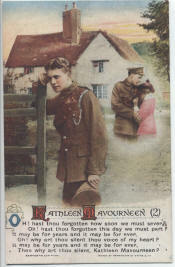 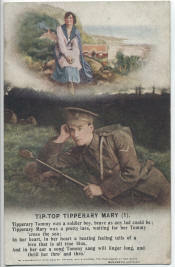 1914-18 World War I Irish Recruiting Poster. 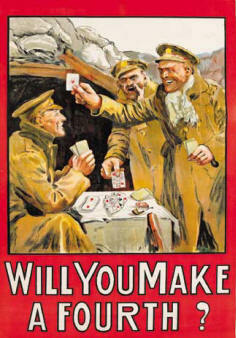 circa 1916 "WILL YOU MAKE A FOURTH?" 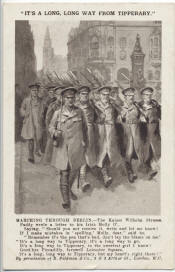 Issued by Department of Recruiting for Ireland 32 Nassau Street Dublin Lithographed by Alex Thomas and Co. Ltd. 76 by 51cm., 30 by 20in. 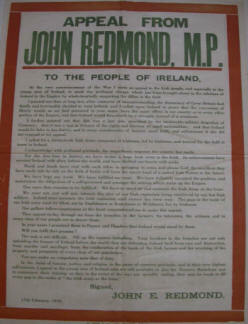 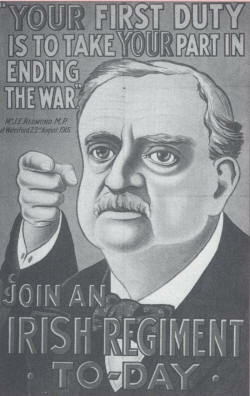 or must I" John Redmond of the Irish Party encouraging Irishmen to join up.